Jack Morton Auditorium---Welcome to the ARS family! Join us for a morning of introductions, strategizing, mentoring, and connection. Learn who is in the room and focus your energy on forging meaningful partnerships with other professionals who are walking your path. The field of collegiate recovery has grown rapidly in the past 5 years. The number of schools with known recovery supports for their students has increased nearly ten-fold. This panel discussion will explore how collegiate recovery started, why it continues to grow, and where the field is headed. Why are you here? What story lives inside you that lights you up and fuels your passion to build or work in recovery schools? We are each here for a very special purpose. The road to opening and sustaining a recovery high school is long, fraught with obstacles, tested by grief, and paved with hope and miracles. It takes every drop of love, fight, tears, and gusto that we have. We are connected through a family and a network of folks around the nation doing this unique work. Welcome to the tribe. How does collegiate recovery fit into the broader umbrella of college student affairs? With areas such as student health, residence life, extracurricular involvement, judicial services, and many others- where does a collegiate recovery program fit? This session will explore the intersection of these areas and best practices for campus implementation. Session Title: Keynote Presentation: Talk is Cheap. Advocacy takes Action. A presentation on building development boards for sustainable recovery high schools and collegiate recovery communities. See all the options on the "Where to Eat" section of the app. As the field of collegiate recovery continues to grow and attract new professionals, there exists a gap between education, experience, knowledge and training in the field. Attendees will gain a broad understanding of the continuum of care, recovery support structures and gain a better understanding of the field in order to build professional competency. Attendees will gain enhance their understanding of the field of addiction, recovery, collegiate recovery and higher education. Participants will be enriched as they feel more prepared and qualified as professionals in the field of collegiate recovery. Many students in CRPs might benefit from advocacy, before and after their undergraduate studies. Some have life histories including legal charges as a consequence of their substance use. Some might desire an undergraduate/graduate degree leading to careers involving public safety-sensitive professions (nursing, medicine, law, etc.). Support systems that help incent/sustain recovery from substance use disorders exist (CRP's, Drug Courts, Professional Monitoring Programs) and are effective - but these systems generally function in isolation, even when a student's recovery involves more than one of them over time. Representatives of each system will serve as Panelists, and will provide an explanatory overview of their respective systems. Panel members will promote: an accurate awareness of the purpose, philosophy, and practices of their systems; effective collaboration across these systems as the student matriculates through their education and training; and specific advocacy with strong continuity across these systems and over time, for optimal recovery support. This session will provide a brief literature review of methods for engaging young adults in long-term bio-behavioral health treatment, as well as ways in which collegiate recovery communities support treatment goals for motivated patients when therapeutically appropriate. A case study model will be used to describe a collegiate recovery community developed within the context of a residential treatment facility and the resulting clinical and therapeutic synergies created when combined with academic involvement. A description of the average patient presentation, clinical and academic supports, and patient outcomes will be included. Finally, session participants will have the opportunity to examine ways in which their own clinical setting may be appropriate for the development and support of a collegiate recovery community. Through this presentation the audience will become enlightened regarding Mississippi State University's (MSU) theoretical perspectives and the practical application therein. Held once per year, MSU CRC Family Weekend seeks to aid parents in the development of supports they provide to recovering students. During this presentation, program evaluation results from previous family weekends will be shared including ongoing efforts to fill the gaps within the continuum of care provided to students and families. The presentation will conclude with a personal story of a CRC student and their family member in order to fully encompass the perspectives discussed. North Carolina A&T State University one of 6 Universities granted funds to establish Collegiate Recovery Programs. As a Historically Black College/University (HBCU), cultural barriers to Collegiate Recovery have been encountered. This presentation will discuss the concepts of Addiction Prevention, Treatment, and Recovery as it relates to students of color within HBCU culture. This presentation will also identify barriers and provide strategies used to overcome them. The highlights of program development and promotion will be the catalyst for discussing these concepts. VCU Arts Professor John Freyer's work has always been about people and their relationships with objects. In one of his first projects, he sold all his belongings on ebay and went and interviewed the purchasers. When he found recovery in 2013, John's work transformed to be more relational through the lessons he learned in recovery. John's now work focuses on using ordinary things to create conversations about change and recovery. In this program John and Rams in Recovery Program Coordinator Tom Bannard, will demonstrate how VCU has used the Free Hot Coffee Bike and Free Ice Water projects to create a campus dialogue about recovery. In this workshop, participants are invited to participate in a "Free Ice Water" conversation and sample a pour over coffee from the "Free Hot Coffee Bike" which has garnered more than 350,000 views on social media and raised the campus profile of Collegiate Recovery. Peer-to-peer services in the community often incorporate Peer Recovery Support Services (PRSS) through Peer Coaching activities. This workshop exposes participants to a method for taking this onto the college campus in order to enhance CRPs' services, provide extra support through peer-to-peer engagement, and enrich student leadership. By sharing key aspects and tools NRAP developed through a BRSS TACS grant, workshop participants will be able to design their own approach to and goals for these augmented activities. CRPs might utilize these tools to support peers within their community as well as assist these students to give back to others outside their college community. Well trained peer mentors can be utilized between college and high school students in recovery as well as be a first step for those wishing to enter the recovery workforce. Session Title: The Power of Language. The Power of Possibility. The presentation will explore lived experience with active substance use and recovery as it relates to the current best language practice research. Strength and community based solutions to substance use disorders increase help seeking behaviors, reengage individual and collective resiliency, promote hope and perseverance, cultivate personal confidence and empower recovery allies. We will identify and define implicit bias, review SAMHSA's definition of recovery, assess SUD within the DSM-V (2013), and explore the historical, acute and sustained role language plays within stigma, discrimination and recovery engagement. This symposium will consider how recovery high schools fit into the substance use & co-occurring disorder continuum of care. Presenters will review preliminary data from a comparative outcomes study evaluating the effectiveness of recovery high schools for improving behavioral & academic outcomes of adolescents after receiving treatment. Presenters will also explore the cost-effectiveness of recovery high schools and explain a cost-benefit analysis to estimate the net benefits attending a recovery high school. This symposium will examine final data from a comparative outcomes study evaluating the effectiveness and cost-benefit of recovery high schools for improving the behavioral and academic outcomes of adolescents with substance use and co-occurring disorders after receiving treatment. This session will guide you through the step by step accreditation standards for running the business side of Recovery High Schools. Learn from the best as you navigate selecting the model, identifying leadership, energizing a Board of Directors, building community partners and much more. Learn from RHS experts as you navigate the important factors surrounding diversity, parent engagement, transition planning, and structure for the school. Session Title: It's All Greek to Me - Is There A Place for Sober Fraternities in the Social Landscape of Collegiate Recovery? As the number of Collegiate Recovery Programs on college campuses continues to grow, so too do the options for newly sober students seeking to enter or re-enter college following residential treatment for addiction. This presentation will examine a new twist on an age-old institution: the college fraternity. Is there a place for a sober frat in the ever-changing landscape of collegiate recovery, as sober students engage in alternative peer groups for support in the face of stress, temptations and triggers which are part of student life in early recovery? Join us as we take a behind-the-scenes look at an innovative pilot program launching this fall at the University of Texas in Austin. Specifically, participants will consider and examine the role of recovery oriented systems of care; alternative peer groups; servant leadership; and student advocacy in building a sustainable and safe re-entry platform for newly sober students on campus. When a loved one struggles with addiction families tend to focus their energy and attention on getting that person well. Most believe that if their loved one finds help, then everyone else will be okay. Many family members can see the negative impact and consequences of addiction on their loved ones, but find it difficult to see the depth of how they've been affected. If families aren't getting support for themselves, the fear that they've had about their loved one finding recovery often becomes fear about whether or not their loved one will maintain it. Without an understanding of the disease, families often end up reacting as they did when their loved one was still in active addiction. This session will look at ways families are affected by the disease of addiction, and how to overcome the obstacles that stand in the way of families finding support for themselves. Nicotine use has long been viewed as less harmful than alcohol and drugs for people in recovery, and therefore acceptable in our recovery communities. However, research indicates that nicotine is in fact more deadly to those in recovery than alcohol and drugs. There have been widespread myths about quitting nicotine in recovery. In this presentation, participants will learn the facts about the vulnerability of those in recovery to the harmful effects of nicotine, the ways that tobacco cessation in treatment and early recovery can support relapse prevention, and how to reduce common barriers to quitting. Acceptance and Commitment Therapy (ACT) is a behavioral therapy that is based on Relational Frame Theory, a theory of how human language influences experience and behavior. ACT aims to change the relationship individuals have with their own thoughts, feelings, memories, and physical sensations that are feared or avoided. Acceptance and mindfulness strategies are used to teach patients to decrease avoidance, attachment to cognitions, and increase focus on the present. Patients learn to clarify their goals and values and to commit to behavioral change strategies. This treatment has been applied to a number of conditions. This presentation will review the latest research utilizing ACT in conditions that affect the Emerging Adult; discuss possibilities of future research with school populations and the underserved; and gaps that can be bridged concerning research and application of ACT. We will go over what each individual member of a CRC can do to support their peers in recovery while attending classes, living on or near campus and maintaining healthy and balanced lifestyles. We will also discuss what the CRP can do to support their students in recovery via creating safe spaces, counseling opportunities and social support and incentive systems. This should help both students and faculty/staff to better understand the complicated life of a student in recovery and how to best help them navigate that tricky lifestyle. Session Title: Mental Health in CRCs: Where does it fit? Many students in recovery are also living with mental health conditions. Much of what is beneficial in addiction recovery, like connection and empowerment, is also essential in recovery from a mental health condition. With such powerful advocacy and such great need from both communities, what is stopping students from taking a more united approach to creating environments that support and enhance recovery for all? This presentation will discuss the history, benefits, and challenges to integrating mental health and addiction recovery communities on campuses. Día de los Muertos (Day of the Dead) is a Mexican celebration in memoriam of those who have departed. Every year, families gather in homes and cemeteries to feast and celebrate with the souls of their departed loved ones. The objective of this workshop is to learn the fundamentals of establishing a month-long CRP event that celebrates and commemorates those lost to addiction, serves as a reflective meditation on an individual's past life in addiction, and brings wider campus and community engagement into the CRP environment. Participants will learn how to build an ofrenda (traditional altar), create and decorate traditional-style Mexican sugar skulls, brainstorm strategies for engaging campus and community entities around issues of addiction in relation to this holiday, and prepare for the inevitable interest from campus media, both positive and negative. Recovery High Schools are a unified education model of academics and recovery. Learn what the RHS accreditation standards can teach you about measuring student recovery, creating recovery culture/climate, and how to create a comprehensive recovery support program embedded into the every fabric of the school. Attendees will be enriched by this presentation as it takes them on a journey through the presenter's struggle to help her son find sobriety, her discovery of recovery schools after his drug and alcohol use had contributed to his failure in college, and how that experience with her son, combined with her research including observation of classrooms, interviewing of teachers, and participating with focus groups of students led her to become an advocate for the hope that recovery schools offer to so many young people. RHS are a unique balance of education and recovery. They are high functioning academic campuses that have special factors to consider. In this session you'll brainstorm academic curriculum, teacher professional development, special education services, and data driven instruction. Ever since he stood up and spoke out for the first time in public more than two decades ago, William C. Moyers has carried the message about the power of addiction and the promise and possibility of recovery to audiences across the United States. As the vice president of public affairs and community relations at the Hazelden Betty Ford Foundation, Moyers has dedicated his life to moving people, perceptions and policies away from a focus on the problem to a solution grounded in health care. Moyers' presentation on recovery advocacy's past, present and future is a call to action for everyone motivated to help others overcome substance use disorders. This panel presentation focuses specifically on the local and national advocacy efforts for recovery support. Join us for an in-depth look at how several RHSs have made significant advocacy impact for opening and sustaining recovery schools. Addiction is a major problem on college campuses. A Columbia University study reported that over 25% of college students meet the criteria for Substance Use Disorder. And yet it is often very difficult to get school administrators to take the needed steps to fully address the issues their students face. Because of the stigma associated with addiction and the life and death intensity of working with addicted individuals, universities and colleges feel that talking openly about addiction, and providing funding for Collegiate Recovery Centers, is paramount to opening "Pandora's box." This session covers specific strategies to use when talking with collegiate administrators to help them feel more comfortable opening a dialogue about on-campus support for students who are struggling. We'll discuss the full continuum of care for addiction and where CRCs fit into the continuum of care, and we'll examine a step-by-step action plan to successfully partner with school administrators. Despite the growing number of CRPs/CRCs in the country, many students have reported that the negative stigma associated with substance use disorders (SUDs) has stopped them from utilizing these recovery-based services. During this presentation, we will explore the stigma that is experienced by college students in recovery by discussing a recent research study conducted by the presenter using the arts-based and community-based research methodology: Photovoice. In this particular study, college students were asked to photograph their experiences of stigma and to discuss these images and experiences in a group. Data analysis was conducted in order to identify common themes throughout these students' experiences and these will be discussed during the presentation. This session will provide best practice considerations for collegiate recovery program (CRP) development. Best practices were derived from current literature on adolescent substance use disorders, the recovery process, and CRPs, and include providing students with recovery support, a community of peers, and trained, qualified staff to support their recovery process and the CRP community. A recovery capital framework is used to guide the process of recovery. When applied to CRPs, this framework supports multiple recovery domains, so that students can progress in their recovery, focus on their education, and improve their quality of life. Social cognitive theory emphasizes the importance of peer support in promoting recovery and student development. Finally, sociocultural theory demonstrates the need for professional support along the recovery continuum to meet the developmental needs of students. These theoretical underpinnings promote practical and intentional CRP growth and developmental to best meet the needs of the students they serve. Parents/family members are vital for students in recovery and often feel confused and scared as their son/daughter embark on their college careers regardless of their recovery status. West Virginia University embraces families of students across the continuum with a newly established parent support program. Parent Ambassadors provide peer support for parents to help ease fears and encourage engagement in person and through the use of technology/telehealth options. Attendees will learn about the parent program at WVU, experience video interaction and engage in an active dialogue about how to create a peer driven parent support program. The current study undertook a meta-synthesis review of all qualitative literature published from 1980-2016 on collegiate recovery programs, including dissertations and peer-reviewed articles. The presentation will review common thematic findings and contrast differences amongst the published work, including the implications for further research and future programming efforts. The SBIRT training program is designed to teach students the skills necessary to provide evidence-based screening, brief intervention, and when needed, referral to treatment for clients who may be at risk for substance abuse disorders (SAMHSA, 2015). As many Universities are participating in SAMHSA funded SBIRT grants, or are independently choosing to incorporate this training throughout their curricula, the need to find unique ways of effectively embedding SBIRT training into on campus, hybrid and online platforms is required. This workshop will share successful techniques for content delivery, field practice implementation, and data-collection tools. Sustained student engagement is an issue at many CRPs, as Directors and Coordinators work endlessly to encourage more student participation. From matriculation to graduation, student contribution is vital to a healthy recovery community. This workshop presents Georgia Southern University's Student Participation Rubric as a way to help CRPs foster community through expectations and rewards. Presenters will outline the Rubric, discuss its origin and purpose, and evaluate its effectiveness at Georgia Southern University over the Spring 2017 semester. American colleges have students of diverse manners of understanding God and spirituality which influence and mitigate their personal recovery journey. A student who does not identify with a standard Christian faith may not find a support system in place which mirrors their ways of knowing faith. Many CRPs model the continuum of care systems used in today's healthcare. Since marginalized groups are underrepresented in access to and use of mental health services, does the CRP make the same mistakes? Do CRPs further this cultural insensitivity and fail to support students of non-Christian faith or secular leanings? CRP coordinators can address this barrier to engage students with diverse ways of knowing into their CRP. This research considers strategies which may build growth and capacity around these topics by fostering individual relationships, accountability, representative diversity and earnest outreach to all communities of faith or different ways of knowing. The Recovery High School and Collegiate Recovery Movement are at a time of intense growth and increasing support from the recovery and treatment communities and media focused on finding solutions to one of most devastating epidemics in recent history. What can we learn from our history? How have we achieved the successes we have experienced? What can we learn from our failures? Both presenters have played integral roles in these movements from the early stages. Dr. Finch has embarked on an ambitious project to research and chronicle the history of the Recovery High School movement, with many new revelations. The Collegiate Recovery Movement has an equally rich and challenging history of developing models that work and overcoming the hurdles of dissemination across different states, and cultures of institutions of higher education. The presenters will discuss how this history can help us continue to advocate for change both locally and nationally. Marvin Center Betts Theater--- First 50 in line get a free signed copy! Brian Cuban was living a lie. With a famous last name and a successful career as a lawyer, Brian was able to hide his clinical depression and alcohol and cocaine addictions, for a while. Today, as an inspirational speaker in long-term recovery, Brian looks back on his journey with honesty, compassion, and even humor as he reflects both on what he has learned about himself and his career choice and how the legal profession enables addiction. His demons, which date to his childhood, controlled him through failed marriages and stays in a psychiatric facility, until they brought him to the brink of suicide. That was his wake-up call. This is his story. Jack Morton Auditorium--- GENERATION FOUND is the groundbreaking documentary film produced by Greg Williams and Jeff Reilly (of the Anonymous People). Join us for a screening of the film about the Houston recovery community and their inspiring network of collaborative programs (recovery high schools, collegiate recovery, alternative peer groups, residential treatment, IOPs, sober living, and community based organizations). Follow the lives of several young people fighting to find recovery and the professional who wrap their arms around them. The overall field of addiction and recovery has significantly transformed over the years. A new White House administration coupled by advancements in research and technology have led us to where we are today. How did this change come about? Where are we headed next? This panel discussion will look at the state of our field from a variety of internal and external perspectives. Session Title: "Emerging Adult Continuum of Care for the 21st Century: Integrating Clinical Care into Recovery High Schools and Collegiate Recovery Programs"
"The utilization of new clinical models designed to stimulate meaning and purpose at the acute level of care is creating a paradigm shift in the treatment and support of emerging adult and adolescent populations. Collaboration of these models with existing subacute level of care support systems such as collegiate recovery programs and recovery high schools has effectively created the most comprehensive continuum of care ever to be made available to these subpopulations. Further expansion of both the collegiate recovery and recovery high school systems is critically important to expand access to this continuum. A major educational initiative within the treatment industry is similarly necessary to shift the way we view, treat, and subsequently support emerging adults and adolescents through their recovery process." An exploration of best practices for using film screenings for gathering stakeholder buy-in, fundraising, and leveraging change in communities. The addiction/recovery field has a gaping hole in recovery services to parents of addicts and addicts with co-occurring mental health challenges. You will learn about an innovative approach that has been developed for parents to support them in the successful long-term recovery of their adolescents and young adults. During the past 4 years, this program was piloted in a Recovery High School to parents of students and with parents of young adults in sober living program, and coaching parents directly. The process of healing and recovery is not a straight path. It is one of ups and downs, relapse and renewal with ongoing stressors that can tax already challenged stressed parents. This model is based on years of experience and research that will help colleges and high schools integrate parent to parent support to teach parents 5 key steps that will rebuild their foundation to shift to healthy parenting. Collegiate Recovery Programs (CRPs) were developed to enhance abstinence specific support, provide a safe college social environment, fellowship with others in recovery and insulate CRP members from the harsh environments that college campuses can be. Co-occurring substance use disorders (SUDs) and eating disorders are common but rarely treated simultaneously. Providing a variety of recovery support enables the CRPs to meet the needs of students transitioning from treatment to higher education. Understanding the importance of recovery support on college campuses is vital to the development and maintenance of a CRP. Administration and development officers are a key piece to the development and growth of a CRP. As such, selling administration on the investment in human capital is crucial. Educating faculty and staff on CRP curriculum, CRP development, the prevalence of eating disorders and the need for eating disorder support within CRPs would provide necessary support for creating new CRPs. While it can sometimes be difficult to identify and engage students in recovery, there is often no shortage of allies reaching out to get involved. Ohio State has been training recovery allies to raise the visibility of recovery on campus, mobilize a trained cadre of allies to help change the campus environment and ultimately empower and encourage those that want to support recovery. Participants will learn strategies for balancing supporting the CRC members while also supporting the needs and interest of recovery allies, benefits of training recovery allies and how to utilize recovery ally programming to strengthen the case for why campuses need a CRC. Comorbidity rates between substance use disorders (SUD) and other mental health problems have been show to be significant. Individuals suffering from a SUD are almost twice as likely to have a co-occurring mood or anxiety disorder and the associations with others mental health problems can be high. Students in recovery may also be prone to secondary addictive behaviors. These problems may not become evident until early recovery, becoming increasingly severe and destabilizing if and destabilizing. Although collegiate recovery programs (CRP) are distinct from treatment, staff must to be able to identify students exhibiting signs or reporting symptoms of these problems and refer these students to the appropriate professionals. The window of opportunity can be very limited; therefore, cultivating solid partnerships with programs and individual practitioners is essential for timely interventions and to provide students with the additional care they need for a sustained, successful recovery. While it is known that students tend to have high rates of mental health disorders, the services offered by collegiate recovery communities (CRC) cater primarily to substance use disorder recovery rather than offering more inclusive, comprehensive support services, leaving the needs of this population underserved. As the research is sparse on the co-occurring student population, this presentation will address the following three topic areas in order to provide a foundation from which to better contextualize the role of collegiate recovery communities: co-occurring disorders in the general populace, recovery supports for co-occurring disorders, and college students and co-occurring disorders. The presenters will highlight implications for CRCs from this literature, suggesting work to be done by programs and recovery professionals, as well as future directions for research to ensure that students with co-occurring disorders are not only included in these communities but that their needs are being met by their recovery communities. In today's culture, young adults face many decisions and challenges with respect to their sexuality. This includes the potential for engagement in sexual behaviors that can contribute to various negative consequences in their lives. For some, these behaviors may become addictive or compulsive to the point that intervention is indicated. This presentation will outline issues in defining and assessing potentially problematic sexual behaviors, as well as guidance in determining treatment needs and options, in this population. In January 2017 NYS Governor Andrew Cuomo announced funding to create New York's first Recovery High Schools in partnership with Boards of Cooperative Education Services (BOCES). Individuals responsible for designing New York's Recovery High School model, from the NYS Office of Alcoholism and Substance Abuse Services (OASAS) will present the concept in this workshop. The focus will be on building a recovery high school within existing alternative high school programs in an effort to expedite the school's creation as well as identify funding sources that will allow for expansion and sustainability. In addition, OASAS will provide information on the use of Medicaid in-community authority as an additional mechanism for providing reimbursement of services to fund treatment and recovery supports. The Recovery Community fought and achieved historic changes over the last few years. In this session we'll summarize those successes, explore where we are as a result, understand what's at stake and envision possibilities for the future. This presentation focuses on describing the different processes and steps taken by a few faculty members from the social work department to start a Center for Student Recovery (CSR) at a small private university in central Texas serving mostly first generation Hispanic students. Emphasis will be given to the process of needs assessments, stages, parties involved, challenges encountered along the way and lessons learned. Collegiate Recovery Programs across the nation have multiplied over the past decade. However, professionals face challenges to creating sustainable Collegiate Recovery Programs. Successful programs constantly progress to meet the needs of recovering students. Presenters from two pioneer recovery education programs will narrate real life stories and circumstances about how each recovery program evolved over the past two decades. These two unique recovery education schools, although very different from each other, hold similar goals for recovering students. The primary program goals are to provide a nurturing and supportive recovery environment and to encourage students to complete a quality higher education program that is a building block of overall personal, educational, and professional success. This session is designed for recovery education professionals at any stage of the Collegiate Recovery Programs development. In this interactive and experiential presentation, participants will develop a strategy for starting, growing or improving their Collegiate Recovery Program. Opioid Overdose is the number one cause of accidental death in the United States. The Revive training was created by the Virginia Department of Behavioral Health and Developmental Services to train the public how to recognize, respond to, and reverse an opioid overdose using naloxone. This hour long course provides trainees with everything they need to know to save a life from this preventable cause of death. Studies indicate that by far the most likely person to encounter and reverse an overdose are peers. Offering this training to students and their families is a vital step towards reducing opioid related deaths. Drunkorexia is a rising trend commonly observed in college students. In a study of 2400 college students, 46% of students reported intentionally restricting before drinking alcohol. Those who restricted to avoid weight gain scored higher on eating disorder inventories and those who restricted to get drunk more quickly scored higher on substance abuse inventories (Roosen & Mills, 2015). Additionally, up to 35% of patients who suffer from substance abuse exhibit eating disorder behaviors that often remain undetected by their treatment teams. On the surface, eating disorders and substance use disorder may appear to be two entirely different conditions. In this engaging presentation, Cruze provides her personal recovery story on eating and substance use disorder. Dr. Tallent discusses campus-based interventions to assess for eating disorders among those presenting with substance use disorders. The similarities of the two illnesses and integrated treatment will be discussed. Session Title: Writing their own story. Engaging students through the Theory of Self-Authorship. Knowing how to best serve students in a Collegiate Recovery Program can present some difficult programmatic decisions. Often times I believe we can be too prescriptive in the world of higher education and leave students with little discretion in how to navigate their own lives. In this presentation I offer a model based on Baxter Magolda's Theory of Self Authorship and Learning Partnerships Model to engage students in the autonomy needed to be successful in navigating their collegiate experience as well as life after college. I will also show the benefits of using this model in community building and strengthened relationships among students. The current presentation reviews the science, theory, and importance of utilizing a continuum of care in addiction treatment for emerging adults. A frequently utilized treatment regimen often only includes 28 days of residential treatment. However, this model in isolation is not necessarily supported by the science for emerging adult populations. Implications from developmental theory, prefrontal cortex maturation, and direct science associated with programmatic tiers, social support, and structured lifestyle will be discussed. The importance of continuum of care services will also be discussed, including transitional living, intensive outpatient treatment, individual counseling, and collegiate recovery programs. The process of grief, effects of loss, and the understanding of fears related to death can complicate both the onset and maintenance of recovery. This presentation addresses skills counselors need in order to effectively address issues associated with the grief process, the experience of loss, and the realities of death. Joseph Skrajewski, Executive Director of Medical and Professional Education at the Hazelden Betty Ford Foundation, will discuss innovative approaches to advancing addiction education in healthcare settings. He will share models and techniques that have been proven successful and led to thousands of students carrying the message of hope and healing in treatment and recovery. Skrajewski will offer insight and empathy surrounding the realities and misconceptions of addiction based on years of professional service in the field and through his own lived experience stemming from a previous career working on Wall Street and through the 9/11 tragedy. The challenge and support a student receives from significant others during their time at an institution can have a great impact on their success academically, socially, and personally. The goal of this presentation is to show specifically how personal relationships impact students in recovery, specifically around their pursuit of sobriety and recovery, as well as their success as a student (i.e., GPA and stress management). To do this, we will present the findings of a social network analysis we conducted at Baylor University. We analyzed students in recovery's social networks to determine if specific relational components contributed to, or inhibited, student success (GPA, stress level, retention, and length of sobriety) at the institution. This presentation provides an overview of our study and highlights ways to implement SNA in higher education settings to understand the social dynamics of student success. This workshop will address strategies to engage with community-based partners, and empower and instill hope to individuals from underrepresented populations; to validate their ability, be accepted, participate, and thrive in a Collegiate Recovery Program (CRP). Strategies used by Texas Tech's CRP diverse committee established fall 2015 have been effective in reaching out to marginalized groups. Individuals within these populations are not offered the same opportunities as others in society due to stigma and discrimination attached to their cultural backgrounds, socio-economic status, work and criminal history, gender identity and/or sexual orientation. With engagement and outreach to these specific populations, it increases the possibility for marginalized persons to access support while pursuing higher education. The development and implementation of a diverse outreach committee within a CRP will be presented. Developed community presentations will also be reviewed and shared. Strategies for sustainability and consistency of outreach efforts within CRP's will also be presented. Recovery may restore us to sanity, but it doesn't?it can't?promise academic success. Recovery provides an often necessary but never sufficient condition for thriving in academic pursuits. To reach academic potential, a student must learn to integrate campus resources with individual practices that reinforce principles and practices embedded in recovery. Honesty, open-mindedness, and willingness constitute pillars of recovery for many. Applying these traits in academic affairs not only facilitates success but also reinforces recovery itself. For example, being willing to meet with each professor early in the semester may not come naturally for many students, but proves to be a useful tactic in connecting to a course. Being as open to new ideas, events, and approaches in university settings as in a recovery program also promotes overall success while "practicing these principles in all our affairs," and thereby creates a reinforcing loop of positive experiences. This round-table style presentation will tell the story of UAB's collegiate recovery program with special emphasis on the collaborations (between university and hospital, and between university departments) that contributed to its rapid growth and success in the program's 15 months since its launching. Presenters will use The University of Alabama at Birmingham's CRC as an example of how and why integration between departments, from the very beginning, ensures strong communities of support for students embracing long-term recovery from addictions and other co-occurring mental health disorders. Participants will be asked to submit questions about collaboration and integration to the panel, and will have time to brainstorm with their own teams about how to build more collaborations withing their own programs. This presentation is an overview of social media networks and online communities currently available to CRCs and CRPs. The presentation will cover multiple ways these organizations can develop and execute a social media strategy to grow their membership, promote events, and raise funding. Based on current research led by Austin Brown, MSW, the Center for Young Adult Addiction and Recovery research team derived a SUD Identity Transformation Process Model by breaking down Collegiate Recovery Community application narratives. Focusing on the Stage of Guided Agency and the Stage of Recovery Identity we will discuss the programmatic implications for Collegiate Recovery Programs to facilitate the transition from one stage to the next, and the importance evaluation in this process. We are in the midst of a movement - a shift in public opinion about what substance use disorder is and how to treat those with the disease. Allies of Recovery are a much needed resource on every campus to help de-stigmatize substance use disorders and support recovery efforts. All movements in our history as a society have needed the support of the majority population to fight for change alongside those marginalized in order to make a real difference. This session will share tips and tricks for how to support students in recovery through building an educated and empathetic network of allies around them. Strategies focusing on creating allies of students, faculty, staff, and the administration will be shared along with lessons learned from building momentum on a Philadelphia campus. This presentation will use East Carolina University's Collegiate Recovery Community as a guide to establishing long-lasting and healthy partnerships with departments and organizations that are well-established, have credibility among students, and can help you through the learning curve. A significant goal of building a CRP is to gain the support of the institution; this presentation explores how ECU's CRC was able to accomplish this in a relatively short amount of time. The East Carolina University Collegiate Recovery Community, established in 2014, owes much of its success to the willingness of others to help! However, the most important component of advocacy is "The Ask". Join us as we walk through an activity that helps you identify your biggest supporters on campus and how you can bring them into the fold! This presentation will discuss the unique challenges that law students face in engaging in recovery from alcoholism and drug addiction. Substance use disorder in the profession is incredibly high--so much so that almost every state bar association has created a special program just to provide assistance to lawyers and law students who want to get sober. Still, substance use disorder and mental health in general tends to be a taboo in the legal community and in law schools. For this reason, many law students are afraid to ask for help. This presentation will explore the assistance programs already in place, and provide a first-hand perspective on working with others in this environment. Lisner Auditorium---Last year, well over 30,000 Americans died from opioid addiction, yet many more were either saved from overdose or identified by professionals in their community as needing intervention, treatment and recovery. How do we reach and help this group? Join us for a national town hall on America's deadly opioid addiction crisis, sponsored by the Hazelden Betty Ford Institute for Recovery Advocacy in partnership with the Association of Recovery in Higher Education (ARHE). Special guest speakers and panelists will include Congressional leaders, public health and safety experts, and recovery advocates. This emerging young adult population (18-25 years of age) often has difficulty with treatment programs designed for more mature adults. Their subjective experience of life is much different than that of someone who has already achieved some success in the social and business world. Often they need habilitation instead of being candidates for rehabilitation. Long-term treatment and other related options such as sober schools, allow the prefrontal cortex to develop. This skills development training will give participants hands-on techniques based upon neurobiological and social science evidence. Neuroplastic changes are necessary to allow the prefrontal cortex to develop the abilities for formalized thought, management of affect and relationship skills. Without these skills the individual will not have an opportunity for life enhancement- to receive a diploma, to hold a good job, to raise a child and to be a part of a committed relationship. In addition to her professional role as Mid-Atlantic Referral Relations Coordinator at Skyland Trail, Beth C. Moore is the parent of a young adult who experienced his first psychotic episode in August of 2012. Beth's presentation includes personal details about her son's experience that resulted in a car accident, an arrest, time in an acute mental health care facility, his admittance to treatment and his success since discharge. Her talk discusses the challenges her family faced despite her knowledge of the health care system. Using both sadness and humor, Beth blends the dual perspective of a health care professional and parent dealing with all that a frightening mental health crisis brings. This talk is a call to action about making long-term residential treatment more available and an overview of the benefits it has in treating first psychotic episodes. This presentation will be guided by current and past research in a generative effort to create meta-theory for future research on CRP effectiveness and the integration of agency, identity, and ecology along educational and recovery trajectories. This presentation will examine the underrepresentation of racial and ethnic minorities in collegiate recovery programs. Using a social justice framework, we will look at the barriers to recovery and the barriers to higher education faced by historically marginalized minority populations. We will also discuss where minority populations are currently accessing higher education and use this as a foundation for how to think about better serving these populations. This presentation will challenge ideas around what it means to diversify a program. Participants will be provided with a toolkit for how to incorporate social justice into their practice. Session Title: Directions in Collegiate Recovery Programs: the potential influence of accreditation and certifications. This presentation aims to critically evaluate how accreditation and certification procedures could affect the growth trajectory of Collegiate Recovery Programs (CRPs) and the Association of Recovery in Higher Education (ARHE). The presenters will include examples of these structures implemented throughout other disciplines; specifically, those surrounding other health professional organizations. The presenters will also examine the potential barriers ARHE could encounter through implementing new developmental standards. Moreover, an open discussion will be used in exploring examples such as; the benefits and strengths of accreditation, balancing institutional vs individual standards, the potential downsides of standardized procedures. Our diverse professional affiliations could provide unique challenges and opportunities for creating ethical guidelines and standardized procedures. Overall, attendees will be able to identify their own critical evaluations of such a potential change, and begin more dialogue for future consideration surrounding the accreditation and certifications process. This presentation will focus on the different aspects of transitioning from a student to staff within a collegiate recovery program. Three staff members from Kennesaw State University's Center for Young Adult Addiction and Recovery will share their personal experience. This presentation will also give insight and facilitate discussions on topics such as potential educational and professional pathways, different types of CRPs, advocacy, ethics, the national movement, and community organizing. There will be a strong emphasis on the importance of collegiate recovery graduates being the most qualified individuals to continue building successful collegiate recovering communities. Other topics include involvement with other campus organizations and departments, community outreach programs, service, and potential difficulties. The adolescent and young adult populations have consistently brought skilled therapists to their knees, particularly in an addiction / substance abuse environment. In my experience, I have seen positive results and have been brought to my knees less by referencing the content in this presentation. This presentation will cover: introducing humor, population specific language, accountability, peer-led interventions, and being therapeutically unprofessional. This presentation is designed to inspire treatment professionals and universities to align with the common goal of getting clients in recovery back to school. We'll demonstrate how a treatment organization successfully partnered with a CRC, an educational website and several recovery organizations. This resulted in the Thriving in College Guide, a PSA about CRCs/CRPs, and a satellite media tour reaching 6 million viewers with the goal of increasing awareness of these campuses. In addition, we will demonstrate to our audience how a treatment organization and a collegiate recovery community effectively work together to create a seamless process of supporting clients throughout recovery. Finally, we'll show how our efforts are rooted in prevention, as we focus on educating middle and high school students in the the identification and prevention of substance abuse and addiction, utilizing the curriculum of the Alcohol Literacy Challenge, a program developed by researchers at UCF. Attendees will learn how the Partnership for Drug-Free Kids' Parent Coaching programs helps families affected by a teen or young adult family member's substance use. Most importantly attendees will learn how they and the families they serve can access the Partnership's family support services. They will also learn about Community Reinforcement and Family Training and Motivational Interviewing, the evidence-based approaches upon which the program is based; the history, and the operations and outcomes of the program; how the "waterfall effect" comes to life within families and how our lessons learned can be applied to schools and the community at large. This presentation provides a comprehensive look at core areas of treatment satisfaction and effectiveness that is often overlooked. It will explain the difference in knowing how to treat clients before actually treating them and the impact the treatment environment can have on them. This training will outline in detail how to connect, inspire and create a demand for excellence for yourself and those within your sphere of influence. This presentation will explore the importance of the role of the family when working with young Hispanic/Latino students in recovery. This information will help the attendees better understand how to integrate family relationships into programming and how to balance confidentiality issues while respecting the cultural value of family. Volunteers and community stakeholders are an important part in the success of any collegiate recovery program or recovery high school, as these are the people who spread the word, help fundraise, and support in a myriad of ways. Advisory boards, councils, or committees are more formalized ways of organizing and mobilizing these community stakeholders and volunteers. Emerging programs may wonder if these committees are worth the effort, especially if a hurdle they face involves navigating the bureaucracy of a large university. The co-presenters will provide an example of an advisory council recently formed to serve a large, established collegiate recovery program at a large university, and a highly active and involved board of a recovery high school. Approximately half of the session will be dedicated to questions, discussion, and sharing about the audience's experiences with working with boards/councils/committees. This presentation will provide a brief narrative on the concept of collegiate recovery replication and where the next step in the evolution of creating a CRP is headed. No two campuses are the same and no two collegiate recovery programs mirror one another exactly. Founders of these programs have realized that to have a successful programs, adoptions to the long existing models of collegiate recovery are necessary to preserve cultural competency and the integrity of community needs. The presenters will provide participants with a step - by - step needs assessment process that campus and community leaders can use when determining their local strengths in the initial stages of creating a collegiate recovery program. By doing a community analysis before implementation, community leaders will be able to create a viable strategic plan that is tailor-made for their community needs which will therefore better support students seeking recovery support services. Attendees will assess the formation and current position of Rocky Top Recovery Group at the University of Tennessee in relation to their own recovery-oriented student organizations. Additionally, information related to the process of starting and sustaining a student organization on college campuses will be provided. 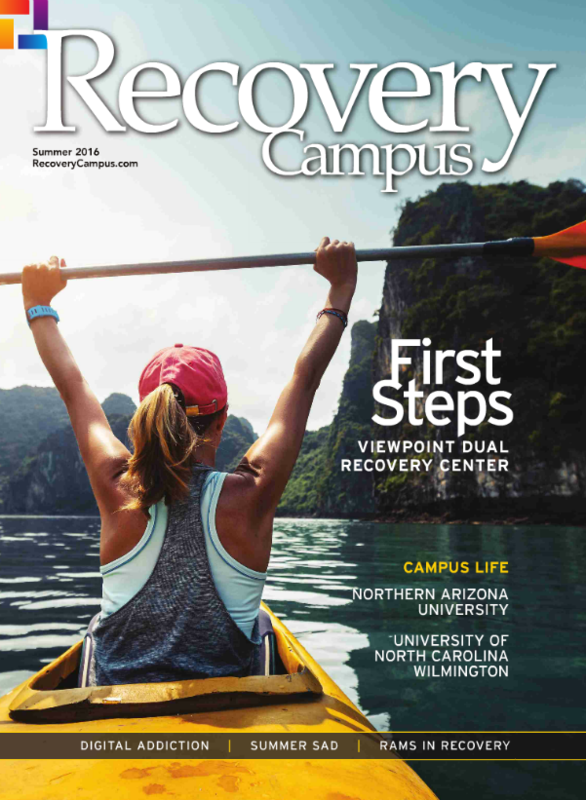 A collegiate recovery program (CRP) is a supportive environment within the campus culture that reinforces the decision to disengage from addictive behavior. It is designed to provide an educational opportunity alongside recovery support to ensure that students do not have to sacrifice one for the other. © 2016 Associate of Recovery in Higher Education, All Rights Reserved.